Canelo Alvarez lands a punch against Gennady Golovkin in the 12th round. SAUL ‘CANELO’ ALVAREZ is the new WBA Super, WBC and IBO middleweight champion after stunning Gennady Golovkin via a majority decision. Email “Canelo dethrones Golovkin by majority decision as dramatic rematch unfolds in Las Vegas”. 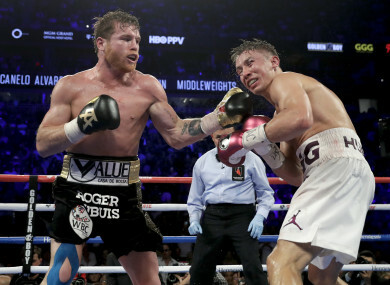 Feedback on “Canelo dethrones Golovkin by majority decision as dramatic rematch unfolds in Las Vegas”.